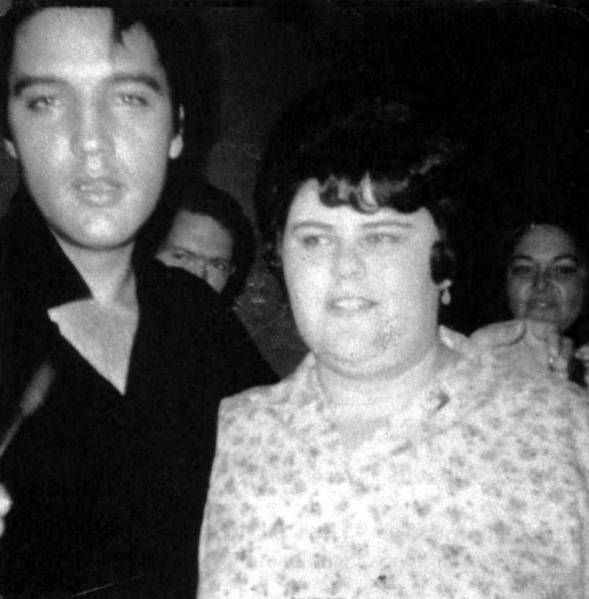 Record stores were swamped with requests for Elvis’ “Love Me Tender” which had not been released yet. In the evening Elvis had a date with Natalie Wood for publicity and Nick Adams. 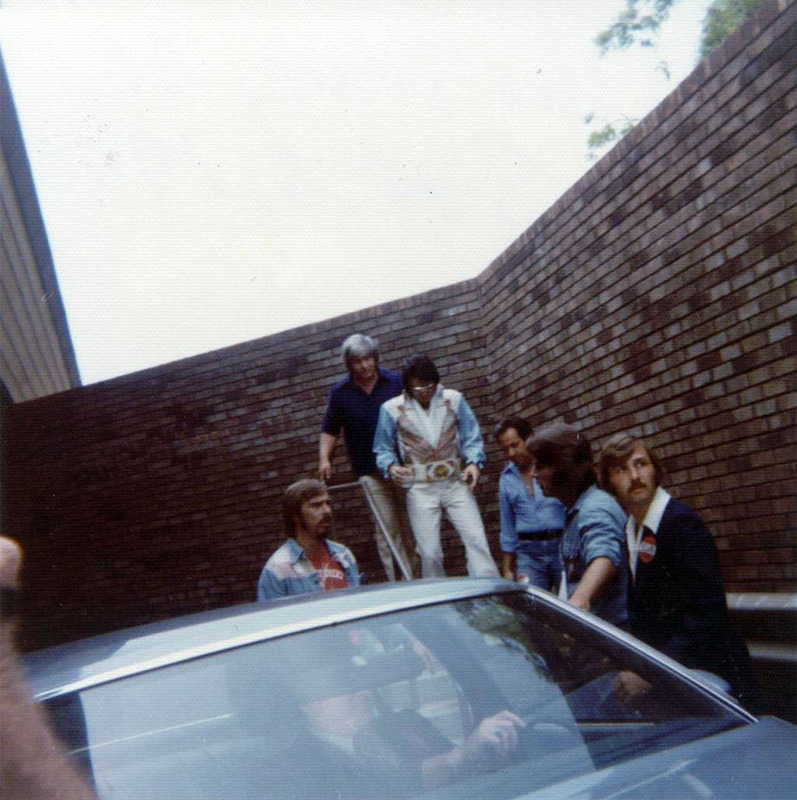 Elvis dropped by Sam Phillips’ home, shown with the Phillips kids. Britain’s BBC banned Bobby ‘Boris’ Pickett‘s single, “Monster Mash”, saying it was offensive and in poor taste. They eventually relented and the song went on to become a seasonal hit, reaching a high of #3 in 1973. 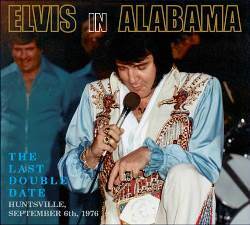 Rain canceled filming on Monday September 10, and Presley and company lay low. Visiting the fair as a tourist was the 315-pound New Orleans trumpeter Al Hirt,who was asked his opinions about modern music. He wishfully believed — like all jazzers seemingly did back then — that there was “a strong surge toward the return of the big bands” … ‘Better music is coming back all the time. 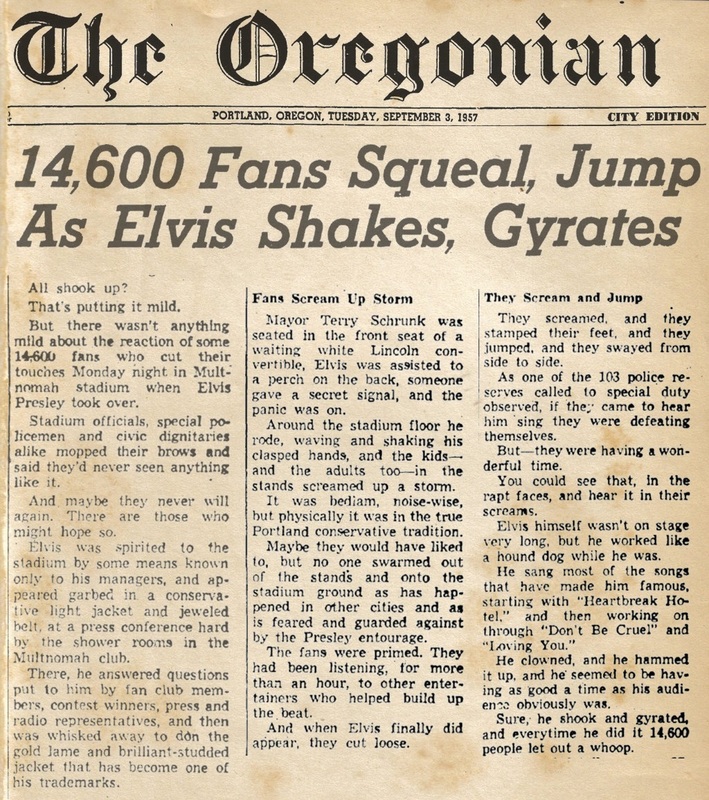 Even Elvis Presley is changing his material’” (The Seattle Times, September 11, 1962). The Daily Mirror published a two-page article about The Beatles. Written by Donald Zec, the feature is entitled ‘Four Frenzied Little Lord Fauntleroys Who Are Earning 5,000 Pounds A Week’ Zec, who had attended a Beatles concert in Luton on Sept. 6 and then invited them to his home to complete the interview, referred to The Beatles’ haircuts as ‘A stone-age hair style’. The article provided a major boost to their career. During a chance meeting between The Rolling Stones at Studio 51 Jazz Club in London with Paul McCartney and John Lennon, the two played the Stones a partly finished song ‘I Wanna Be Your Man’ which the Stones later record. At the end of a standoff between federal authorities and Alabama governor George C. Wallace, 20 black students entered previously all-white public schools in Alabama. Viva Las Vegas Elvis reported for the shooting of some publicity pictures with photographer Virgil Apger and Ann-Margaret, co-star. Rod Stewart cuts his first record, “Good Morning Little Schoolgirl”. He will go on to sing with The Jeff Beck group and later The Faces, before embarking on a solo career. The Kinks third single ‘You Really Got Me’, was at No.1 on the UK singles chart. Future Led Zeppelin founder and guitarist Jimmy Page played tambourine on the track. The Byrds begin recording “Turn! Turn! Turn!”. Unlike their first hit, “Mr. Tambourine Man”, members of the group itself are permitted to play instead of session musicians. Manager Brian Epstein began negotiating with ABC-TV to air a Beatles cartoon series. The weekly show aired from September 25, 1965 to May 9, 1969. Veteran voice actor Paul Frees provided the speaking voices of John and George while Lance Percival of the British “Carry On” films did the voices of Paul and Ringo. The Supremes achieve their seventh US number one record when “You Can’t Hurry Love” tops the Billboard chart. Phil Collins would enjoy similar success with the song sixteen years later when his rendition also went to number one. The Rolling Stones appear on The Ed Sullivan Show in New York. Guitarist Brian Jones performs despite a cast on his right hand which he broke in a fall in Tangier. The Monkees‘ “The Last Train To Clarksville” is released in the US. By the first week of November, it will be the top tune in the nation. The lyrics describe a phone call by a military man to his girl, asking that she ‘take the last train to Clarksville’ so they can have one last night together before he has to leave on the morning train. The record topped out at #23 in the UK. The Beatles started a six-week run at No.1 on the US album chart with Revolver the group’s ninth US chart topper. The title ‘Revolver’, like Rubber Soul before it, is a pun, referring both to a kind of handgun as well as the “revolving” motion of the record as it is played on a turntable. The result of this session was stunning, not only the intended song, but Big Boss Man as well. 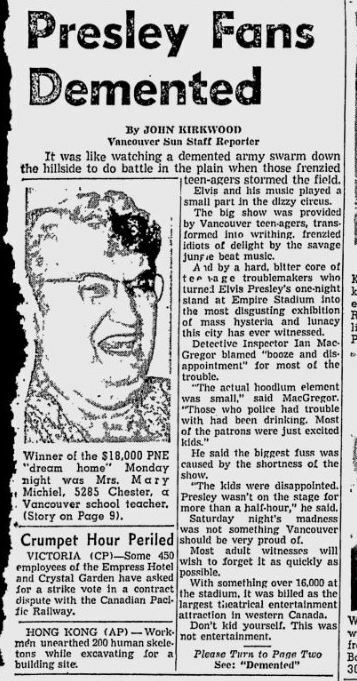 Unfortunately there was a big fight about the rights of publishing, the Col demanding, Elvis silent and so Reed, song writer and guitarist, stormed out. The session went on till 5.30 a.m. but the atmosphere was ruined. Guitar Man would be Elvis’ last of eleven #1 Country hits, but did not crack the Billboard Top 40. The Beatles were at No.1 on the UK singles chart with ‘Hey Jude’, the group’s 15th UK No.1 and the longest chart topper ever at seven minutes and ten seconds. The single was the first release on the group’s Apple records label. 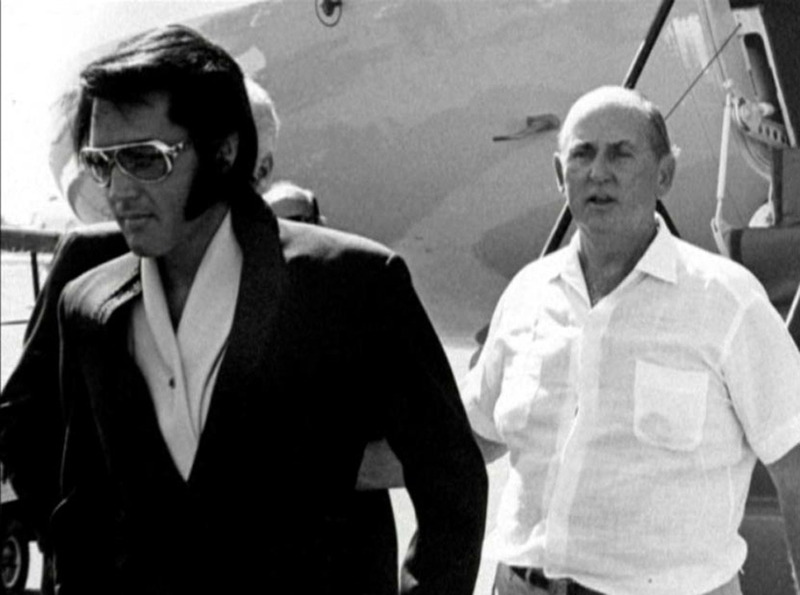 Elvis flew to Las Vegas. 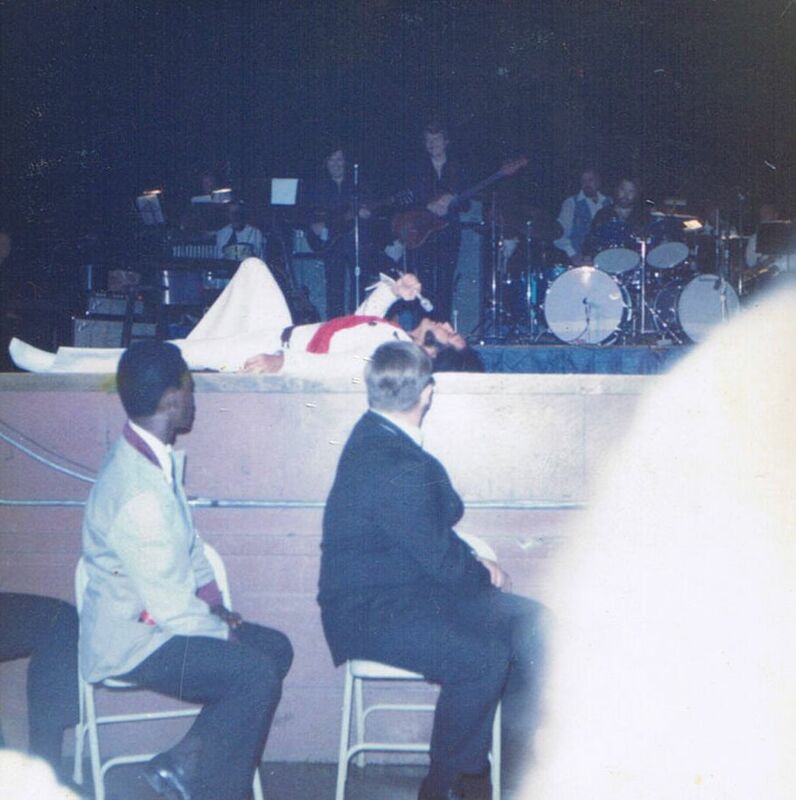 Elvis performed at the Kiel Auditorium, St. Louis, Missouri. 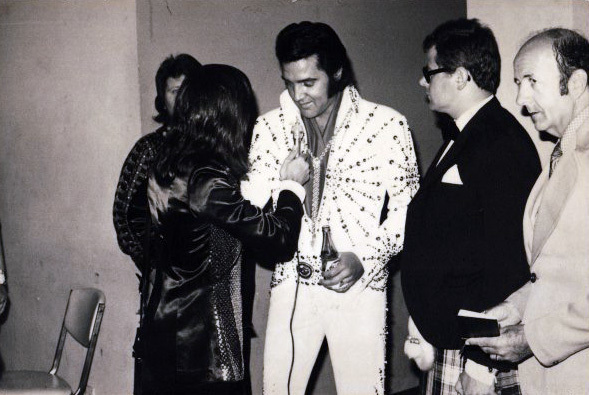 For the very first time there was a sound system with onstage monitors which allowed Elvis to really hear himself. The Rolling Stones single “Star Star”, from the “Goat’s Head Soup” album, was banned from airplay on England’s BBC because it contained the word “Star-fucker” in the chorus. It’s not just sung once, but the word is repeated a dozen times. The New York Dolls spit up. The influential American band formed in 1972 and made just two albums, the 1973 ‘New York Dolls’ and 1974 ‘Too Much Too Soon’. Out on the highway in one of his 3-wheeled motorcycles Elvis was ticketed by a policeman. David Bowie accepts Bing Crosby’s invitation to appear as a special guest on Bing’s annual Christmas television special. Meat Loaf released his second studio album Bat Out of Hell. His first collaboration with composer Jim Steinman and producer Todd Rundgren, it is one of the best-selling albums of all time, having sold over 43 million copies worldwide (and still sells over 200,000 copies per year). The first single released from the album ‘You Took the Words Right Out of My Mouth’ failed to chart when first released. 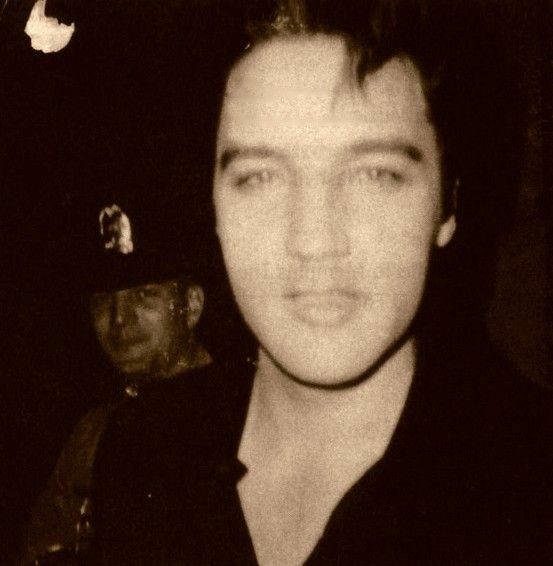 Elvis Presley’s album “Moody Blue” #3 in the U.K.
Elvis Presley’s album “Blue Hawaii” hit #26 in the U.K.
A 10-day Elvis Presley convention ended at the Las Vegas Hilton Hotel. ABBA began their first North American tour more than five years after reaching the Top Ten in the US with “Waterloo”. The group split up in 1980, but received a $1 billion offer in February, 2000, from an American-British consortium to re-unite for 100 concerts. They turned it down. Val Kilmer plays the ghost of Elvis in “True Romance” release in north american theatres. Actor Lance LeGault died at the age of 75. (Werewolf, The A-Team, Magnum P.I., Stripes, Coma, Mortal Kombat: Annihilation, The Silencers, Executive Target, Nightmare Beach, Shadow Force, Iron Eagle)/stunt double (for Elvis Presley in the movies Viva Las Vegas, Kissin’ Cousins, and Roustabout) and part of the 1968 tv special, sit down concert. Jun 18, 2002 – Q&A with Richard “Jaws” Kiel at the Guccione Mansion. None – Do not …. 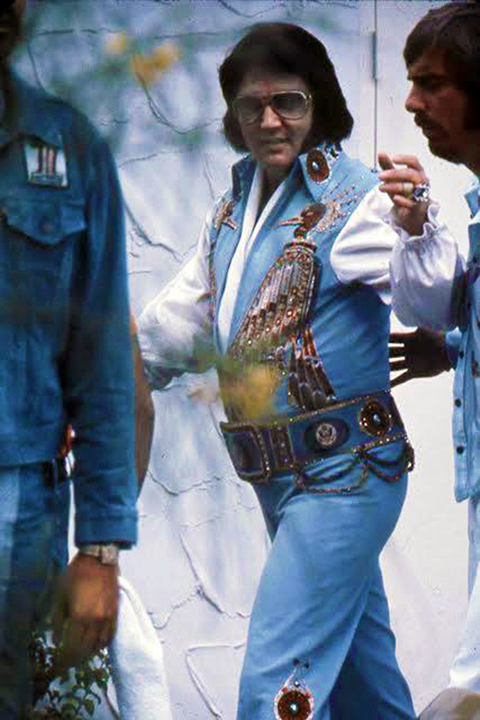 He was a carnival strong man in Elvis‘ Roustabout.